Simply stated, GZG is the fulfillment of that great promise in my family’s life that is spilling over into the lives of many, many others! Only God has the power to conjure goodness and blessing out of tragedy and loss. 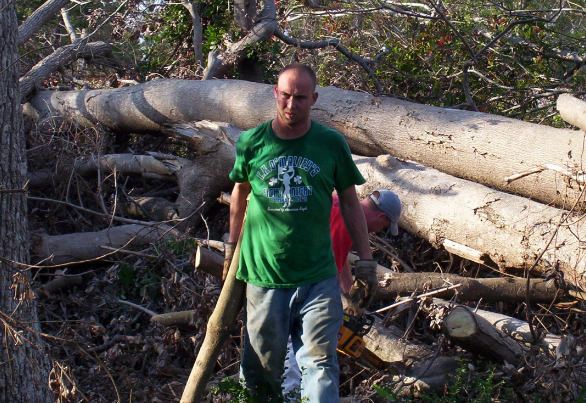 In the fall of 2005 my oldest son, Steven and I joined a crew that went to Mississippi to help victims of Hurricane Katrina. If you were able to be there, you know how mind-boggling the devastation was. As Steven and I drove back home, he was on the phone telling his friends about it and urging them to come back with him to help. He never go the chance. He died in a car accident 3 days later. We were now devastated. I am convinced that as a result of the prayers offered to my family in our grief, I was reminded of Steven’s wish and determined to fulfill it. 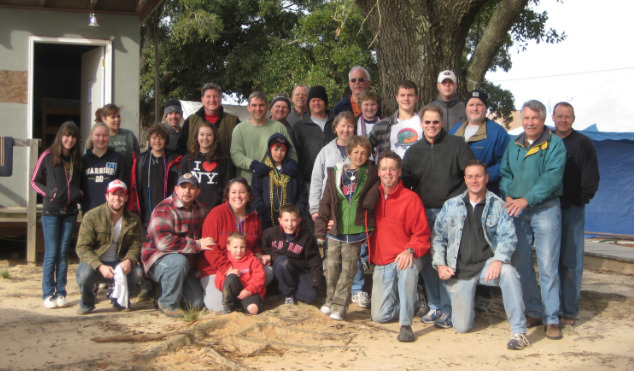 By the providence of God I connected with Kathleen Johnson, a journeyman carpenter from Australia who had organized a relief organization in Waveland, MS. She opened her arms to us and I was able to take a group of 50 volunteers to the area for a long weekend of serving families who had suffered great loss. That was all it took. We were hooked. A fellowship of servitude was born among us. Our understanding of what it meant to be a Christian was blown up and reshaped. We committed ourselves to the task until the job was completed. Over the next 3 years we took volunteers from our area to Waveland and did our best for those that had experienced the worst. As that wound down, my good friends, Mark Brock and Ed Townsend and I decided to take what we had learned and the company of men and women who had given of themselves so completely and focus on the “Least” in our own community. We didn’t have to drive 6 hours away to help people. The timing was perfect. Kathleen decided to close her shop in Waveland and donated all of her materials and tools to us. We helped her dismantle her headquarters and filled a 53’ trailer and headed back to Atlanta. Ground Zero Grace was born.